Vance was an attorney who served as secretary of the army during the Kennedy administration and as deputy secretary of defense under Lyndon B. Johnson. 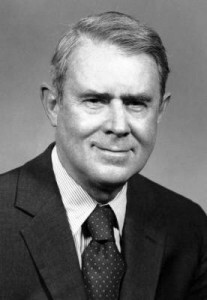 Initially in favor of the Vietnam War, he turned against it in 1968, and Johnson appointed him deputy chief delegate to the Paris Peace Talks. As Carter’ secretary of state, Vance played an important role in facilitating the Camp David Accords, which brought peace between Israel and Egypt in 1978.